Since 2011, Marilyn Harper and Joeaux Robey have been gathering Visionaries who, in a very unique way, are pushing humanity forward. Often, it's an approach that may not even have a language yet! It's an inner-active experience in sharing wisdom, healing the planet, grabbing soul family hugs, expressing gratitude, and expanding the possibilities for humanity. You'll be creating an international message with the assistance of plants and Gaia. As a participant of the VILC 2017, you will be part of our intention to break a world record in Shifting the Planet. Saturday evening includes a buffet dinner. This allows you quality time with your newly formed Pod. A Convergence process introducing you to your soul-family! Connect with people just like you. Enjoy dinner on us to celebrate your pod! We expect this to be the largest of our Intimate Convergences! Still, we limit it to 222 registrants - that way, you can say "hello" to everyone. Having started and sold several businesses, one now worth nearly 1 billion dollars, Joeaux is a start-up maestro, inspiring you to make a living doing what you love. After experiencing a walk-in in 2010, Joeaux has dedicated her life to the global promotion of happiness and the work of Adironnda. She is a published author, artist, and is passionate about coaching SoulOPreneurs towards "lifestyle as a business". 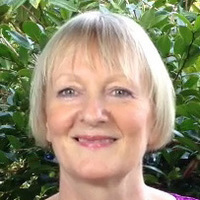 She's a Reiki Master, Psych-K Facilitator, with a M.F.A & M.B.A.
Best Selling Author of ‘Tapping into Past Lives’, Jenny is a trained Clinical / Past Life Regression Hypnotherapist, EFT Trainer and the Founder of Quantum EFT for the Soul. Combining these skills with her spiritual knowledge, Jenny teaches, in her personal programs and her workshops, how to release soul issues from past lives that are holding you back in this life. Then she teaches you to ‘mine’ your Akash to experience the positive lifetimes that have gifts for you now. Founder of an online philosophical Adventurers Club home to over 700,000 members from over 185 countries. His books on spiritual accountability have been published in 25 languages, and he appeared on The Secret. Probably, best known for his free Notes from the Universe emailings and his New York Times bestsellers Infinite Possibilities: The Art of Living Your Dreams and Leveraging the Universe: 7 Steps to Engaging Life’s Magic. Featured Keynote, Co-Founder & Author, TUT - "Thoughts Become Things"
The drum is a powerful instrument. Indigenous people throughout the planet refer to the drum as the heartbeat of Mother Earth. It is used in many spiritual and sacred ceremonial practices. Some say the beat of the drum has the power to change natural elements, including the weather and the intention of people. It is believed to have the power to heal sickness, and some believe it has the power to send messages both to the animal world and to the spirit world. So what could be more powerful than creating your own drum and using it in the closing ceremony of our Convergence? Definitely plan your travel to join us on Thursday, Sept. 21st so you can attend our very special Pre-event. © Copyright 2017 Adironnda & Company. All Rights Reserved. Saturday night concert and activation for your life vision. What's your five year plan? Step onto the stage and we will shoot it "the juice"
Share your personal plan to change the world in our "Be the Change" Video Contest and you could walk away with a stack of cash. Her inability to travel closed the door on her speaking career and opened the door to a new way of getting her message out into the world: an online conscious living global summit called Energized Living Today. It reaches tens of thousands of people, helping transform lives around the world. 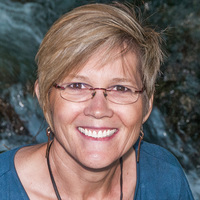 Cindy is also the author of seven books, and the co-founder of Studio 10 Productions, producing live events, online programs, books, audios, and commercial photography. The host of The Dr. Julie Show: All Things Connected, Julie is also Founding Steward for GOOD of the WHOLE, and Co-Creator of World of Love. She is author of the forthcoming book, Fractured Grace. 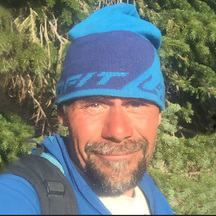 After a lifetime of struggling with his sexuality and depression, anxiety, PTSD, and substance abuse, Scottie transformed and transmuted the spiritual wounds of sexual abuse and assault. He now shares his lessons. This Queen of Manifestation is dedicated to the Power of the Spoken Word, the Divine Law of Abundance, and of Divine Intervention. She brings her joy of life and the Light of Spirit into everything she does. This former IT professional is creating a natural healing retreat where people who have been affected by PTSD can relax, and heal naturally through the beauty and peace of nature. A transformational teacher, mentor, channel, speaker and author. Angela is the human aspect of a counsel of light Beings who focus on strength and courage, and is devoted to the surrendering of a perfected state of consciousness, the natural condition of the soul, or pure love. In an energetic form within the Akash, for those they are communicating with, they express themselves in a calming yet exciting vibration that exudes strength and courage. In addition to being the owner of a vehicle limousine company, Greg is a powerful intuitive healer that delights in assisting people to remember how to heal their own selves. He uses sound and vocal vibrations along with the assistance of ancient Tibetan singing bowls in the work. He believes that following the flow of guidance is the key to a great life. A vibrant and loving speaker whose specialty is helping people in their journey towards loving themselves and living in joy. She is a Rehabilitation Counselor, with twenty three years of helping people with disabilities reach their full potential. 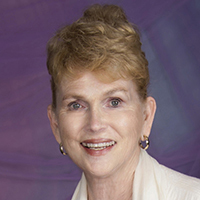 A Chemist and Energetic Alchemist, Betsy believes Energy Alchemy is a tool, an innate ability each of us possesses to help manifest a better world. You probably use it daily without even realizing your true power..
Shams-Tabriz abandoned the comforts of his privileged life and cast himself into a search for truth and meaning. He's the author of Soaring With Angels, a personal treatise of this personal discovery of divinity. Teacher, Artist, 'SoulMonic Sound Healer', Musician for most of his life and a sound-healing practitioner for over 15 years. Three Trees layers rhythms & frequencies for healing on the Physical, Emotional, Mental, a& Spiritual levels. Triggered by a death experience back into “full light”, Lionel was shown a life review, and then made a conscious choice to return to planet earth, back into the physical body, as a walk-in from his future Self. Adironnda always brings in a profound message and activation during the pre-event. Often, our speakers participate, too, which means you get personal time with them! Join Us in Denver, CO – Sept. 22, 23, & 24! Join Us in Denver – Sept. 22, 23, & 24! Liaison between the Intergalactic Federation, the Spiritual Hierarchy, the Angelic realm and Humanity. bj returns each year to deliver the message from the inter Dimensions. A practical mystic, artist, writer, minster, teacher of creativity, spiritual life coach, president of Namaste, Inc. a non-profit spiritual education organization based out of Oklahoma City and authorized by the Hierarchy to administer initiations and activations. Embodying the love of plants and music through his life, Peter began distilling essential oils in 2006. That same year, he began playing on and co-producing the Grammy award-winning album Crestone, with Paul Winter. Peter creates acoustically-tuned plant and mineral alchemies with essential oils, and offers them in his Journeys, to support increased awareness and healing on the levels of body, energy, and mind. A core part of the VILC Team, Soul Tones uses the sound vibration of singing bowls, gongs, drums, & toning to balance the body & spirit, They creat instantaneous & profound transformation, relaxation and relief. The musician and composer behind all of Marilyn and Adironnda's Meditation music, Randy is a professional composer and pianist. He plays nightly venues in Branson, MI. Randy is also a powerful Reiki Master. NEW for 2017! We believe that everyone channels in one form or another. Some people channel music. art, and literature. Other people channel healings, Beings, and information from the past and the future. During our second Channel Panel we will be giving everyone (who chooses) to participate in the group as a channel. There will be a quick channeling lesson for those who've never done this before. Spend 3 expansive days at the foot of the Rocky Mountains engaging with kindred Spiritual folks! Awaken "within" to co-creative visioning, and do-it-now change-making for the New world. 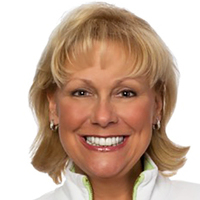 "I liked how approachable every speaker and presenter was - including Marilyn and Joeaux. This was truly transformational, seeing and feeling how all the speakers are also doing their own work." "This was my first Convergence... amazing... just amazing! I absolutely LOVED the speakers and flow of the Convergence... concerts, music - phenomenal!" " I LOVED this event... my first time ever. Dear Marilyn and Joeaux - just follow your guidance but Australia is ready for you." "It was amazing! (You will need a bigger space next year : )"
"I loved the Convergence: sense of family; ease of flow; extraordinary, healing, loving music; the shared meals." "I love, love, and continue to love the people here at the Convergence. I loved the energy and the passion and the healing." "I loved that I had so many personal breakthroughs." "This was the most dynamic and impactful conference/workshop I have ever attended! (And I go to a lot of them.)" "This is truly an event like no other. Seriously."